Utility companies face an unusually high number and variety of risks, many of which have serious health, safety and environmental implications. While these risks cannot be eradicated, utilities can seek to understand, manage and mitigate them. 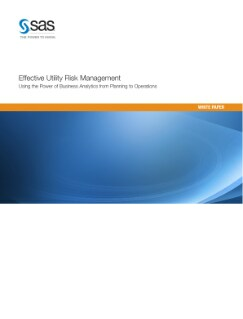 This white paper describes why utility companies that rely on the power of business intelligence and analytics can effectively manage risks and position themselves for commercial and financial success.